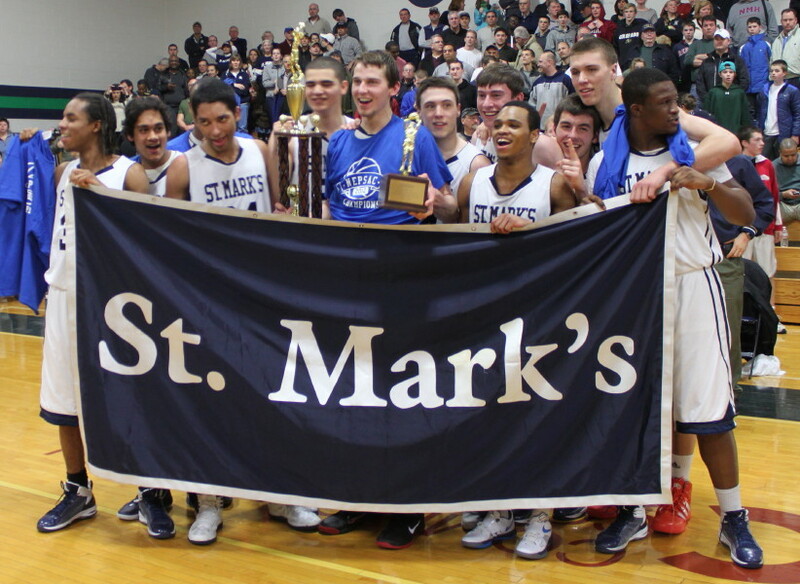 (Beverly) Long-range accuracy enabled #2 seed St. Mark’s to defeat #1 seed Tilton, 59-53, and gain the NEPSAC AA championship on Sunday afternoon at Endicott College. Game MVP Nik Stauskas (19 points) hit his first of four long ones midway through the first half, assisted by Jaymie Spears, and the Lions had the lead for good, 10-7. 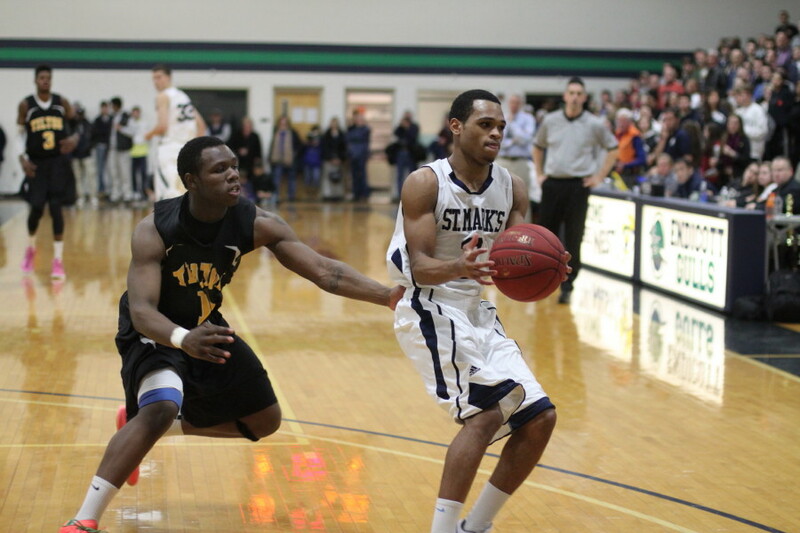 St. Mark’s (27-2) would eventually connect ten times from beyond the arc and ignite three important runs in the process. 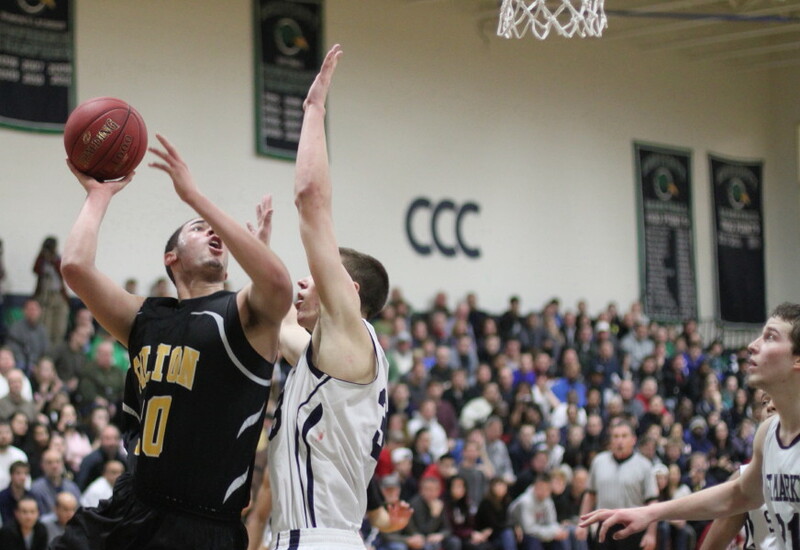 (1) The first run (9 unanswered) St. Mark’s had two three’s from Aaron Falzon and this put the Lions up, 21-11, with four minutes left in the half. (2) The second run (6 unanswered) featured long ones from Jaymie Spears (8 points) and Eli Lubbock (12 points) and put the Lions ahead 29-16 in the last minute of the first half. 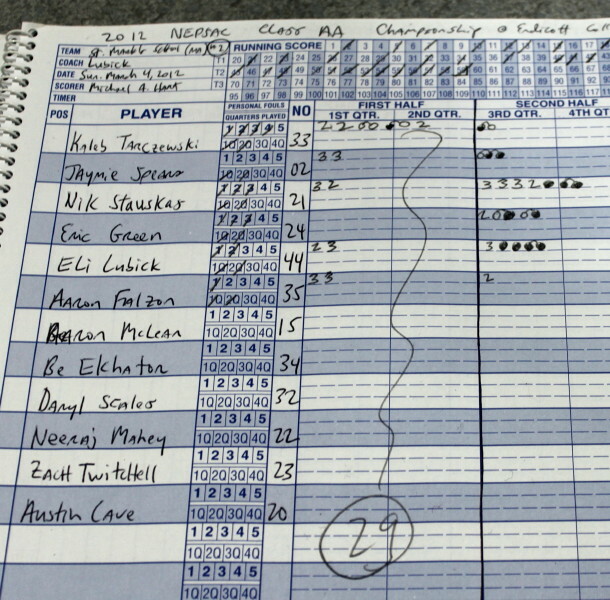 (3) The final run (11-2) included two 3’s by Nik Stauskas and one by Eli Lubick and boosted the Lion margin to 45-28 with 9 1/2 minutes left in the game. After that the Lion triples dried up entirely and Tilton (4-time defending champs) made their run. Over the next 3 ½ minutes the Rams scored all the points (thirteen) and suddenly this was a five point game (45-40) with six minutes left. 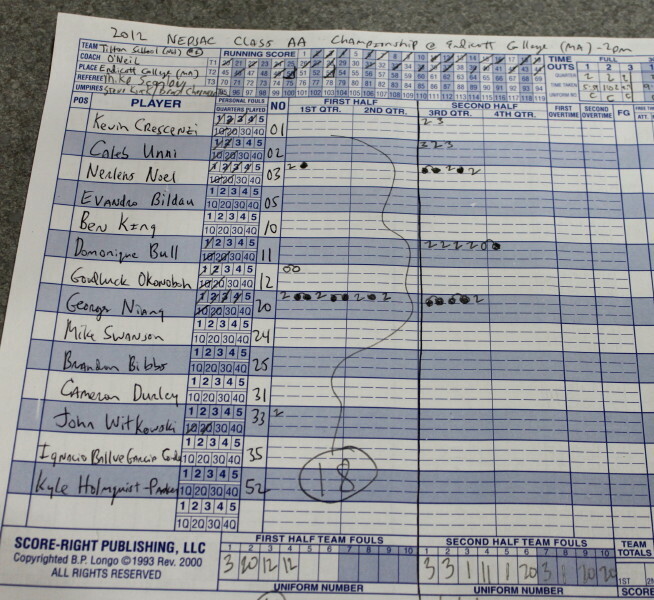 Caleb Unni (8 points) started the comeback with a triple and a runner in the lane. Domonique Bull (9 points) got to the rim for two, and Georges Niang (19 points) hit two free throws. Then came the highlight play of the day as Georges flipped a lob toward the basket that 6-11 Nerlens Noel (10 points) caught somewhere near the top of the backboard and slammed home. 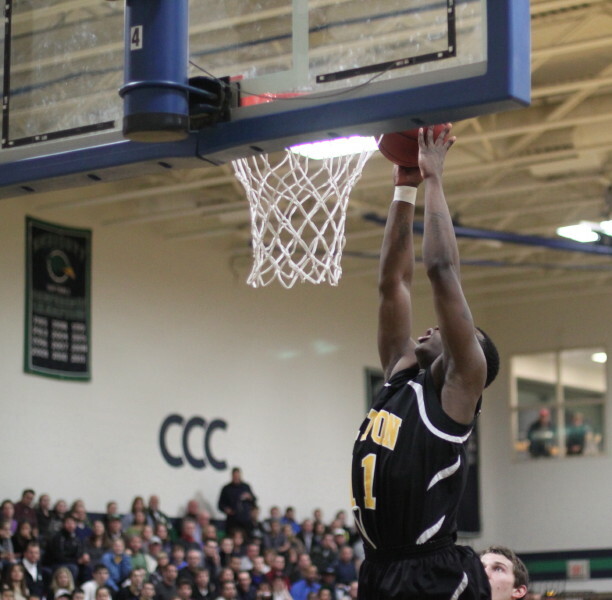 The Tilton crowd loved it. 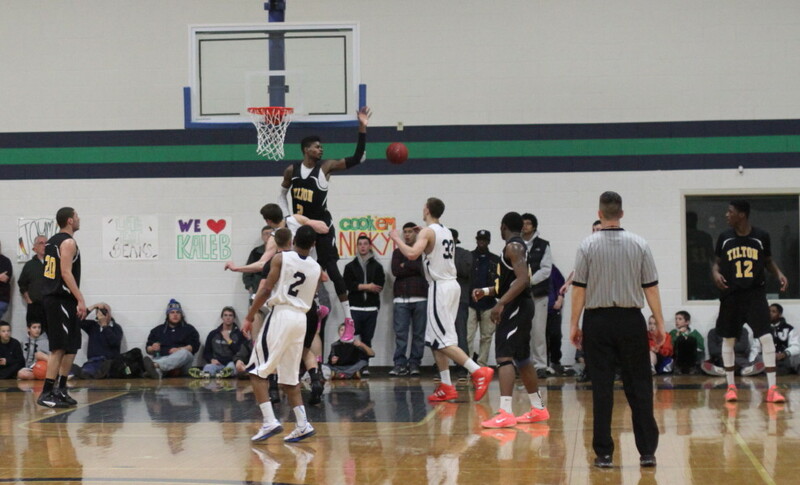 Nerlens made the accompanying free throw and the Rams were within five (45-40). St. Mark’s wisely called an immediate timeout. Nik Stauskas added an old fashioned three after a nifty layin in the area of serious shot-blockers to get the Lions up by nine (51-42). A converted rebound by Nerlens Noel and a Georges Niang layup on a feed from Nerlens and the Rams were back within five (51-46) with two minutes to go. The Rams next two possessions were missed three’s – they made only three in the game. The Lions countered with 3-of-4 free throws (Eli Lubick and Eric Green) to go up by eight (54-46) with forty-nine seconds left. The Rams got three’s from Kevin Crescenzi and Caleb Unni after that and a Domonique free throw but the Lions countered with 5-of-6 freebies (Eric, Nik, and Eli) to win the championship, 59-53. 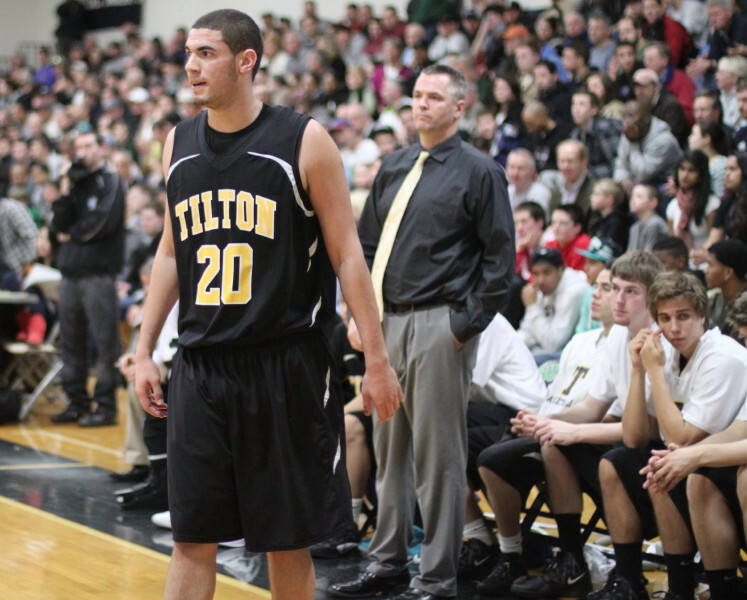 Tilton (27-6) won an earlier meeting with St. Mark’s 71-55 in December. Wayne Selden had twenty points for the Rams in that one. An injury kept him out of this one. Domonique Bull (Missouri), Kevin Crescenzi (Dartmouth), and Georges Niang (Iowa State) have made commitments for the 2012-13 season. 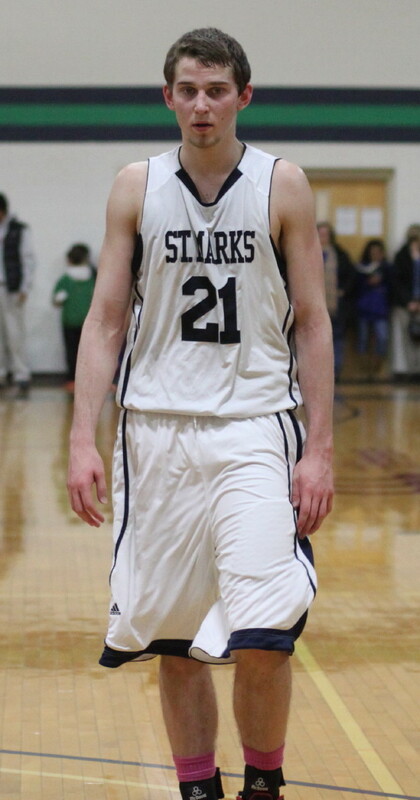 Eric Green (Holy Cross), Nik Stauskas (Michigan), and Kaleb Tarczewski (Arizona) have done the same for the Lions. 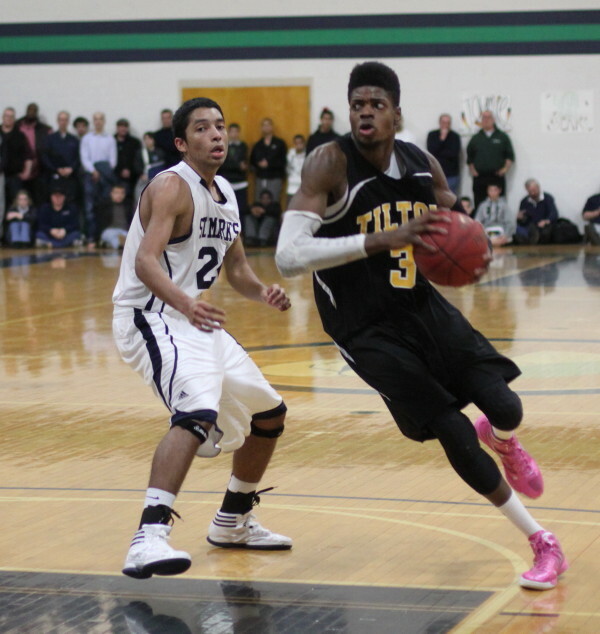 One of the best matchups was 6-11 Nerlens Noel against 7’ Kaleb Tarczewski. Very impressed with the improvement of 5-8 guard Jaymie Spears in a year. He handled the ball smartly, had several steals, and dropped in two triples. 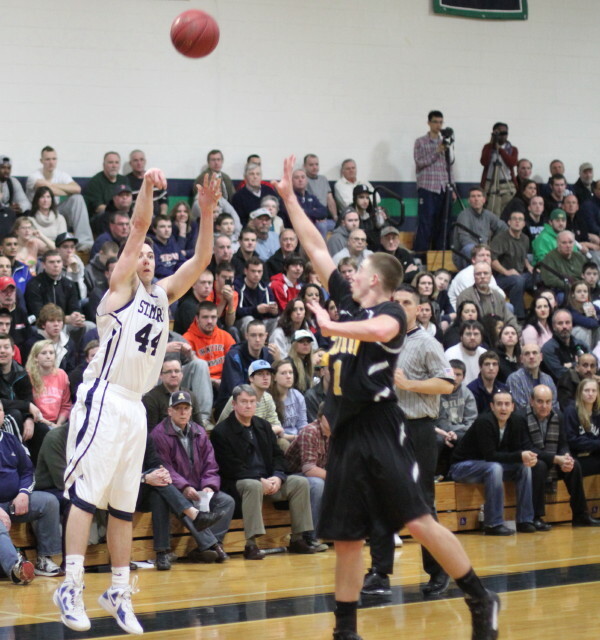 Endicott was jammed for this game with folks around the playing floor as well. Tilton came in reminding me of the Yankees – very successful and developing quite a collection of unhappy opponents as the four straight championships added up. St. Mark’s were the Red Sox. 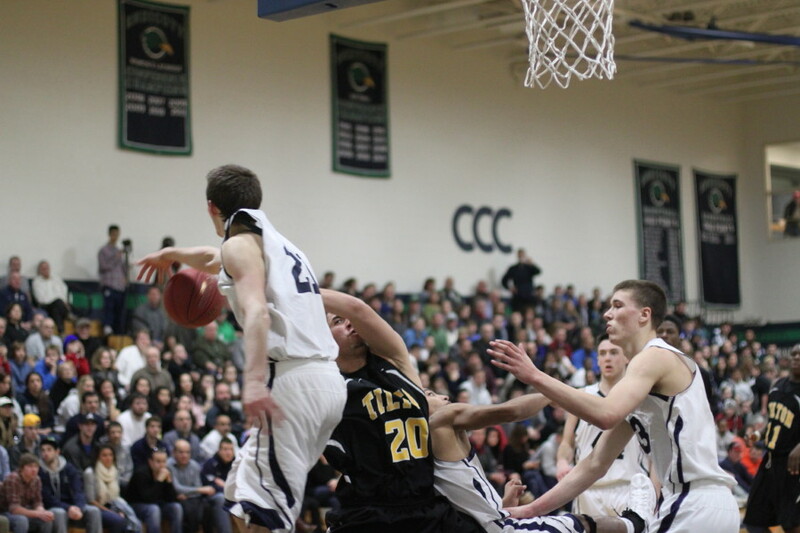 Often close but unable to get past Tilton…….until this game. And did they ever enjoy the victory.